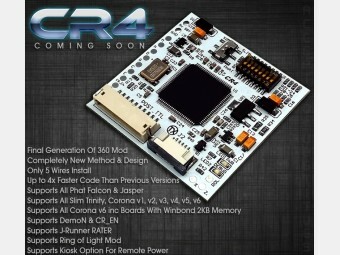 TX240 Xecuter CR4 XL CoolRunner, glitcher mod for XBox 360 - SHOP01MEDIA - console accessories and mods, retro, shop - One Stop Shop! Completely redesigned method of glitching. 4x faster code than previous versions and booting is twice as fast as the fastest glitchers available – yes, including R-JTAG and Slim Proto. Incredibly stable – we glitched the worst boxes we could find in less than 3 cycles (even with Slim Proto or CR3 Pro they wouldn't boot AT ALL). 95% of boxes instaboot. Not to mention this thing is now TINY ! We have also cracked the Corona v6 Winbond 2KB No-Glitch problem – this bad boy crushes it with no effort. 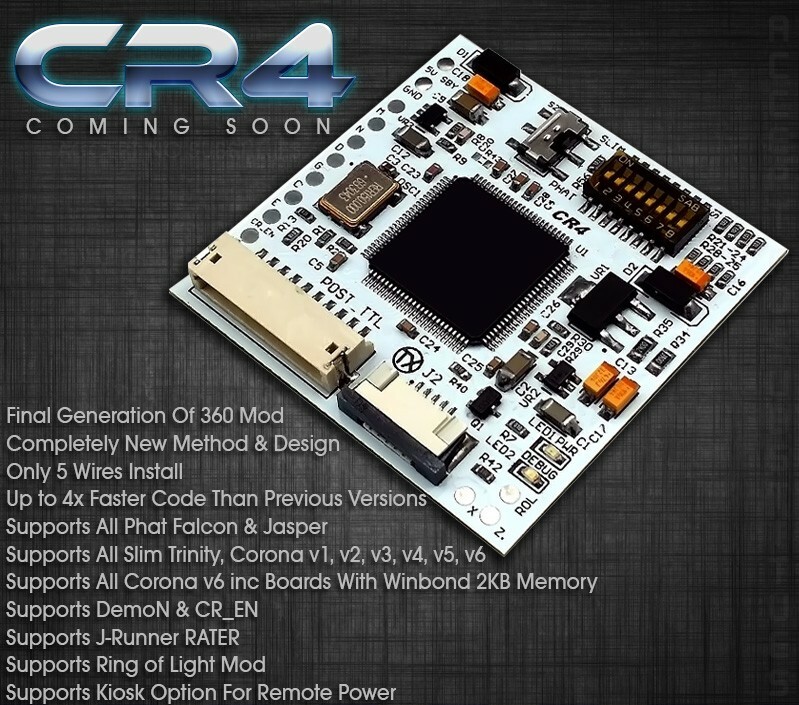 The TX CR4 XL have no issuing glitching Xbox Slim models with no issues, as well as Jaspers and Falcons for RGH2! This is it ladies & gentleman. If you want the best in your 360, accept no substitute. This device is designed primarily to aid or assist in the repair or replacement of defective hardware and also for the use of and development of legal open source software. It does not enable any kind of piracy or have any code whatsoever that circumvents any kind of protection. It is shipped blank and you have to program it with the correct code that matches your motherboard version. We do not support nor encourage, if possible, potential infringements of others intellectual property rights - please do not contact us with any question related to this use as we will not respond. DO NOT use or buy this product if you are looking to perform any illegal activity.